The merchant Andreas Wilhelm Cramer presents a history of the first 50 years of the Bremen Cotton Exchange which even today is still operating. 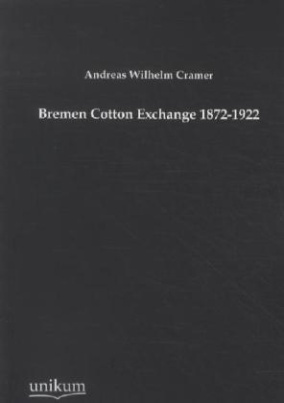 Published to celebrate the 50th anniversary, the volume includes details on various topics, from the history of cotton trade to future outlooks, from production to pricing. Reprint of the 1922 edition.